The renowned European Fine Art Fair--held each March in Maastricht, the Netherlands--is coming to New York City next month. Organizers and exhibitors say it will be an eye-opening experience. 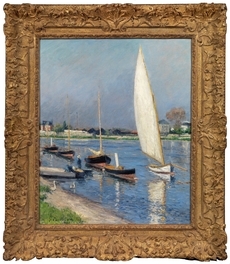 "When American collectors are given access to the quality of art and objects that are in Tefaf, I think they will be inspired to collect in this vast area of material, which they have really only seen in museums and a few galleries here," said Frances Beatty, president of New York paintings dealer Richard L. Feigen & Co., which has exhibited at Maastricht many times and will be in the New York version. Shown below are a few artworks that will be for sale at the fair--you can see a few more at the NYT link above. For six days beginning on Oct. 21, visitors to the crenelated, fortresslike Park Avenue Armory will find its 19th-century interior transformed into a light, modern setting. Translucent scrims will obscure the dark-wood lobby and second-floor period rooms, which will open to the public for the first time since their recent restoration. Muted colors will turn the Drill Room into airy galleries. There's a message in this metamorphosis, which was commissioned for the American debut of the European Fine Art Fair, known as Tefaf. With its careful vetting of objects on display, dating from antiquity to the present, the fair is considered the most prestigious art bazaar in the world. Tefaf's arrival in Manhattan from its home in Maastricht, the Netherlands, is more than just another event on the cultural calendar. It's an attempt by the fair, whose 270 exhibitors face a shrinking audience in Europe, to secure and revitalize its future. It's a chance for dealers in historical art — Tefaf's forte — to staunch the stampede of collectors into contemporary art and show that works of older art can look just as good in a modern setting as in a grand, classical home. And it's a test of the global art market, which shrank to $63.8 billion in 2015, a 7 percent drop from 2014, and continues to wobble, judging by auction results, this year. "Many more people need to know what we are doing," said Patrick van Maris, the fair's chief executive. But can Maastricht convert Manhattan? The people Mr. van Maris refers to are, mostly, Americans, who buy more art than any other nationality but constitute only 2,000 to 2,500 of the 75,000 people who visit Tefaf Maastricht, a number that may dwindle further in an age of terrorism fears. Some longstanding exhibitors, like Otto Naumann, a New York dealer in old masters, are debating whether to continue showing at Maastricht at all. 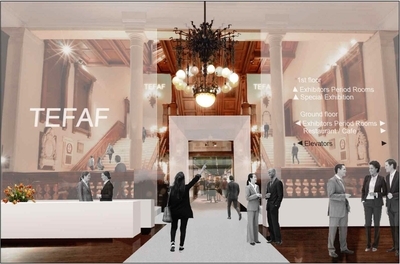 After years of pressure from exhibitors, Tefaf last winter agreed to collaborate with Artvest Partners, a New York advisory firm, on a split spectacle: a fall event for art through the 1920s and a second fair, in May, for modern and contemporary art and design. Mr. van Maris dismissed the idea that a soft market is not the time to establish a new outpost. Marc Porter, the former chairman of Christie's Americas who is soon to take a high post at Sotheby's, also played down the market gamble. "You can't time the market," he said. "You enter when the space and calendar become available and you have a critical mass of dealers." But Tefaf New York Fall, which hopes to attract 22,000 visitors, is still a "risky bet," according to Jonathan T. D. Neil, director of Sotheby's Institute of Art-Los Angeles. "There's so much that happens in New York already," he said. "People have access to a lot of this material on a nonstop basis." New York, in other words, is the opposite of Maastricht, and that may not be good. "Maastricht is a great fair because people go for a few days and there is nothing else to do, except restaurants," said George Wachter, chairman of Sotheby's North America and South America. "They go with buying in mind." For the New York fair, from perhaps 300 applicants (Tefaf declined to provide the exact number), a committee selected 94 dealers, from 13 countries, with reputations for showing top-quality art that is fresh to the market. They will be offering not just old master paintings and sculpture, for which Maastricht is famed, but also jewelry, antiquities, books and manuscripts, American paintings and decorative arts, drawings, European furniture and African, Oceanic, Islamic and Asian art. 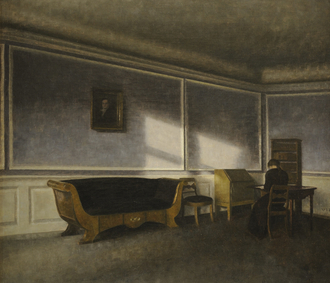 About 20 dealers, from Buenos Aires to The Hague to Paris, have never exhibited in New York (or at least not in years). 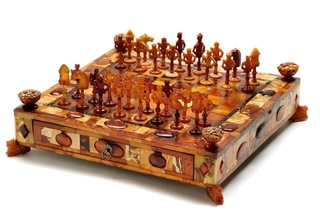 But Maastricht's out-of-the-way location is only one of Tefaf's challenges. There is also fair fatigue. In 2015 collectors could choose from 269 art fairs around the world, up from 105 in 2005, according to The Art Newspaper. The rotation of taste toward postwar and contemporary art--about 46 percent of global art sales in 2015, up from just 17 percent in 2000--has also hurt. Fairs like Art Basel in Switzerland, the premier contemporary fair, which regularly attracts 90,000 visitors, have clearly helped enlarge the pool of collectors. Tefaf New York wants to show Americans that "a vast area of material, which they have really only seen in museums and a few galleries here," can be theirs, said Frances Beatty, president of the New York dealer Richard L. Feigen & Company, who will be exhibiting in October. And visitors may find price points "that are not available in 20th-century art," said Michael Plummer, a partner in Artvest. "You can get master works for less money." And visitors may find price points "that are not available in 20th-century art," said Michael Plummer, a partner in Artvest. "You can get master works for less money." 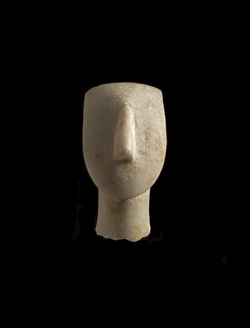 A Cycladic head, 2200-2600 BC, at Charles Ede Ltd. Some buyers may come from an emerging group called cross-collectors, who buy in more than one category, starting, say, in contemporary and then adding traditional art. "I see more and more collectors going in both directions," said Marc Spiegler, global director of Art Basel. The challenge is to enlarge that group. With Tefaf in New York, others are capitalizing on the moment. Christie's, which has already created themed sale weeks and auctions that mix collecting categories, has moved up its sales of old masters and 19th-century art to Oct. 26. 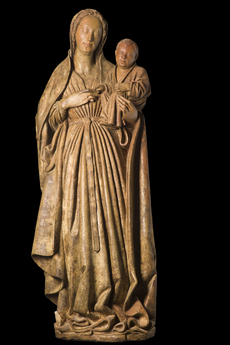 Sotheby's is not changing its auction schedule, but is staging a selling exhibition with the international dealer Fabrizio Moretti during TEFAF week: "Glazed" will showcase 23 glazed terra cotta works by members of the famed Florentine Renaissance family of master sculptors. And fifteen Upper East Side dealers have organized October Art Week, beginning with evening receptions on Oct. 20. Many things could go wrong for Tefaf. For one, there is less than a week available to transform the Armory, then set up and vet the offerings. The fair may not attract attendees who buy enough to offset the higher costs in New York compared with Maastricht. The average cost of a Tefaf booth in New York is $38,500, more than twice that in Maastricht. Add to that "introduction" fees, setup and decorating costs (dealers do the interiors of their booths), shipping expenses, and money spent on staffing and travel. The total can run $100,000 to $250,000 per exhibitor, dealers say. Some dealers do not seem worried. "The business goes the whole year round," said Jorge Coll, a partner at Colnaghi, a dealer with galleries in London and Madrid. "You may start things in Europe and finish them in the U.S. or vice versa." Mr. van Maris, too, is taking a longer view. "Our audience said, 'You have to be here.' Let me tell you in a few years whether we've succeeded."